The Development Wheel is a process of preparing to discover soul, cultivating relationship with soul, and embodying our unique truth at the centre of the image you were born with (D. Whyte). 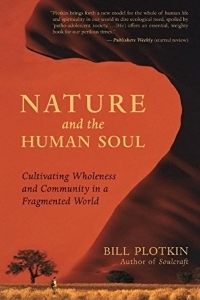 Bill Plotkin states The human soul is a persons ultimate place in the more-than-human world pg 31. Each stage of the Development Wheel is important and has both nature and culture tasks; it is Mystery who moves us from one stage to the next when the stage's tasks are complete enough. Our culture has focused on the Cultural tasks and not the Nature tasks. The model guides us from a patho-adolescent culture (with stages of obedience/entitlement training, primary socioeconomic training, conforming/rebelling, secession, capitulation, management, pasture and playtime and failure; and passages of parent liberation, riot, exodus, soul suppression, promotion, retirement and withdrawal) to a shift in human consciousness towards a soulcentric culture. I'm a Renaissance woman; a nature-based soul-centric guide and mentor, poet, writer, psychosynthesis psychotherapist, and photographer. 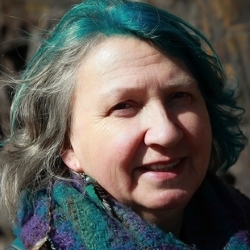 I previously worked as a Cultural Historian, researching the development and professionalism of/allies between medicine and law from the 19th Century in England with regard to redefining women's bodies and social roles and then Associate Lecturer at The Open University in Scotland. In 1995, The Wild, in the form of an Autumn Spruce along the Findhorn River, Scotland, invited me to sing and I joined in with a deeper song. In 2001, I first offered 'The Walk' in East Lothian, filmed by BBC Scotland. My listening eye has since led me to all sorts of awe-inspiring and wondrous places around the globe. I am passionate about, and committed to, this historic moment of 'The Great Turning' and through my journeying into and over lands experiences deeply Earth's urgency for us to dive down to Holy roots; to our inheritance in Imagination and Intelligence of Earth's Dreaming claiming our original mythopoetic voices.... returning with our unique and wild notes in service of Earth Community. I live in Dunbar, Scotland, the birthplace of John Muir. I'm deeply involved with bringing the work of the Animas Valley Institute to Europe and am currently a Senior Apprentice with Bill Plotkin and the Animas Valley Institute. This event will be an interview conducted using a ZOOM video link that will be streamed to our live video page. You will be able to see and hear the conversation, as it is happening, and use the chat room to offer your own comments and questions. Recordings are usually posted to the library the day after the live event. All of the events are available to view live without charge, the first time you register for one of our live events your email address is added to our mailing list. If you are already getting too much email, just click the button at the top of our emails to unsubscribe.